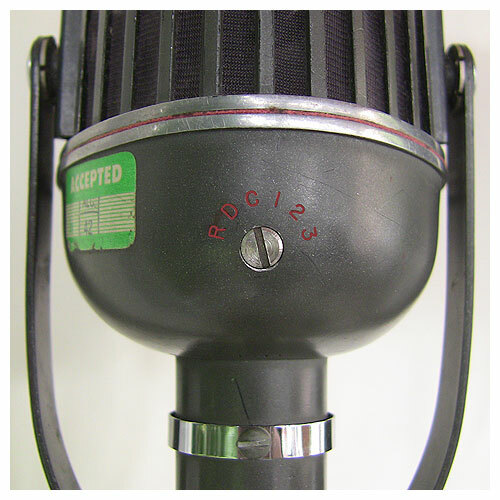 Listen to a Model 639B in its R, D, and C positions. Differences in amplitude are authentic. An Altec 639A with its three-position pattern selector switch. 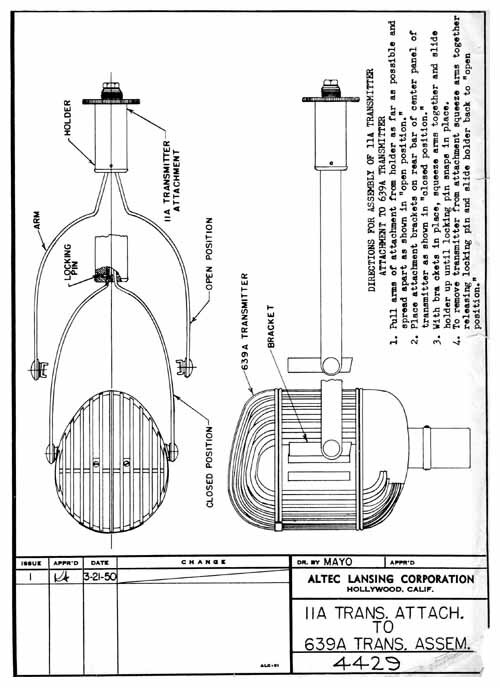 An Altec 639B with its six-position pattern selector switch. Substantially uniform from 40 to 10,000 Hertz. See Figure 2. Three patterns, C, D, and R, selectable through a three-position screwdriver-operated switch. Refer to Figure 1. At the angle of minimum response, the average discrimination with respect to 0° response is 20 dB over the range from 40 to 10,000 cycles per second. 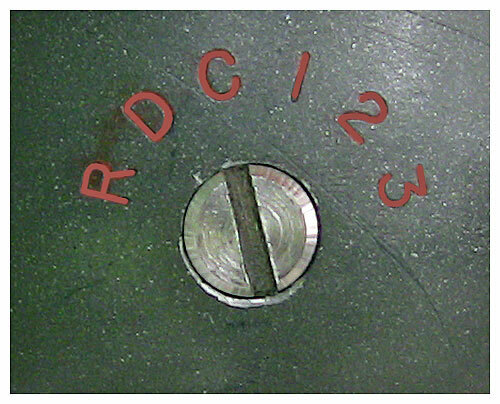 Six patterns: R, D, C, 1, 2, and 3, selectable through a six-position screwdriver-operated switch. Refer to Figure 1. At the angle of minimum response, the average discrimination with respect to 0° response is 20 dB over the range from 40 to 10,000 cycles per second. 7½'' high, 47⁄16'' long, 37⁄16'' wide. 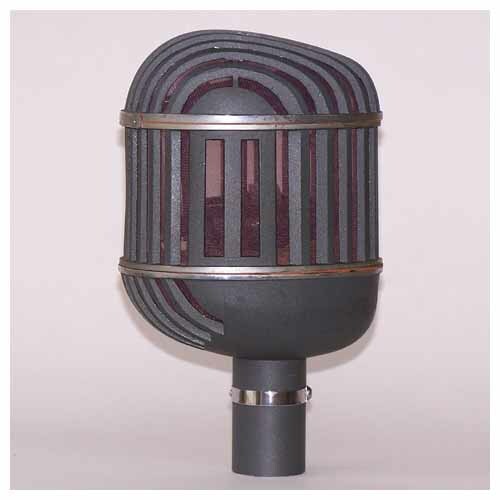 The 639-type Microphone combines a dynamic moving coil pressure element and a ribbon velocity actuated element enclosed in a housing which serves as a protective guard and as a wind screen. The outputs of these two elements are used independ­ently, or are combined in various proportions by means of a selector switch attached to the micro­phone, to yield several directional patterns. The 639A and the 639B are similar with the exception that the former has three selectable directional patterns, and the latter has six selectable patterns. 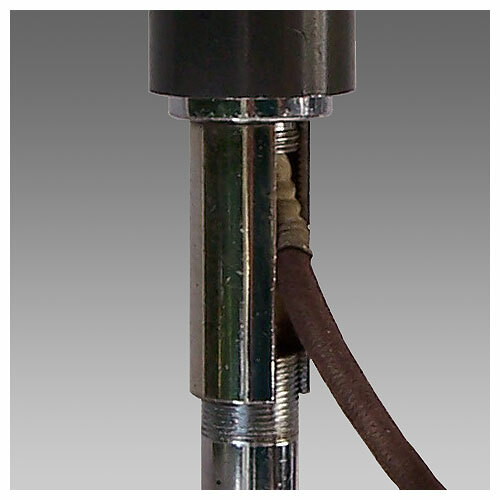 The moving coil pressure element when used alone has non-directional character­istics. The ribbon element when used alone has a figure eight pattern. 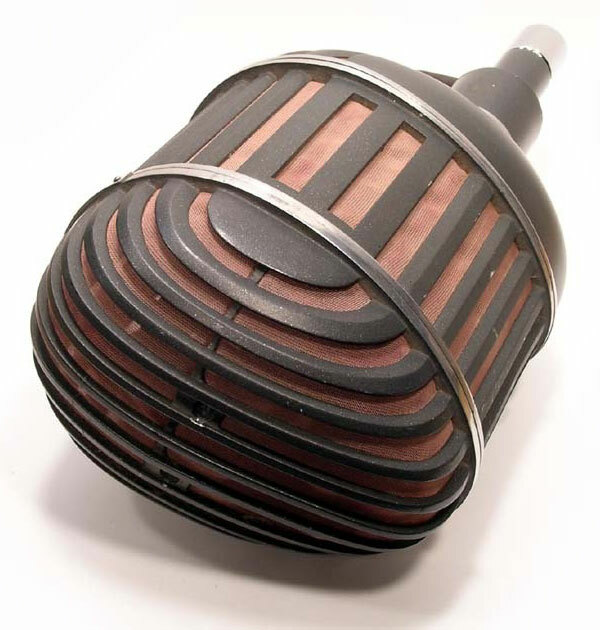 The combination of the two elements results in a phasing of the output voltage causing the micro­phone to have a cardioid directional pattern. The three additional posi­tions on the 639B micro­phone are variations of the cardioid pattern, with increasing pickup from the rear as the switch is turned from position 1 to position 3. These patterns are shown in Figure 1. 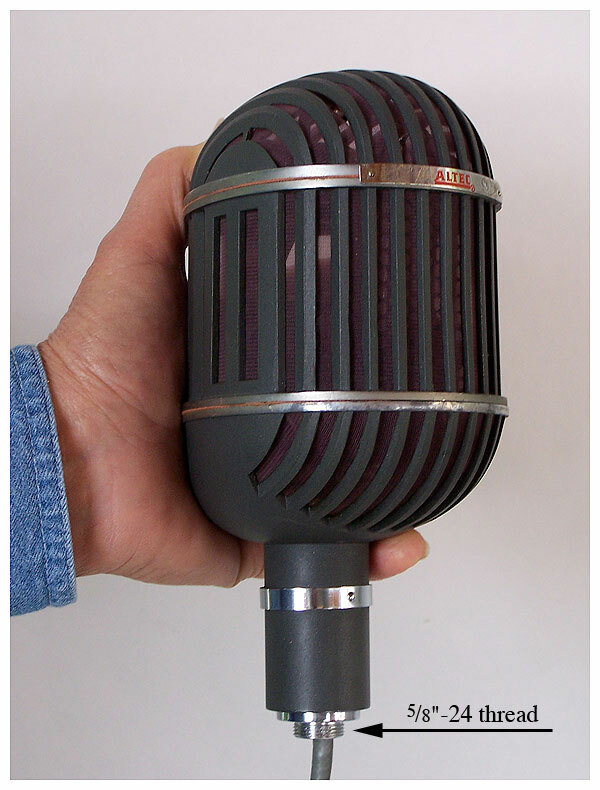 The 639-type Microphone is an excellent general purpose micro­phone for studio use in broadcasting and recording, and for remote broad­cast pickups where it can be given reasonable care in handling. In addition, the several directional patterns will en­hance operation of the micro­phone where audience or background noise must be con­trolled, and in public address pickups where acoustical feedback would ordinarily take place before a satisfactory reinforcement level could be reached. (Figure 1 shows the angle, in respect to 0°, of minimum pickup, and is useful for orienting the micro­phone to dis­criminate against unwanted acoustical feedback and reverbera­tion.) It is particularly suitable for multi-micro­phone pickups of a large orchestra group where a sense of realism and an apparent increase of volume level is desired. 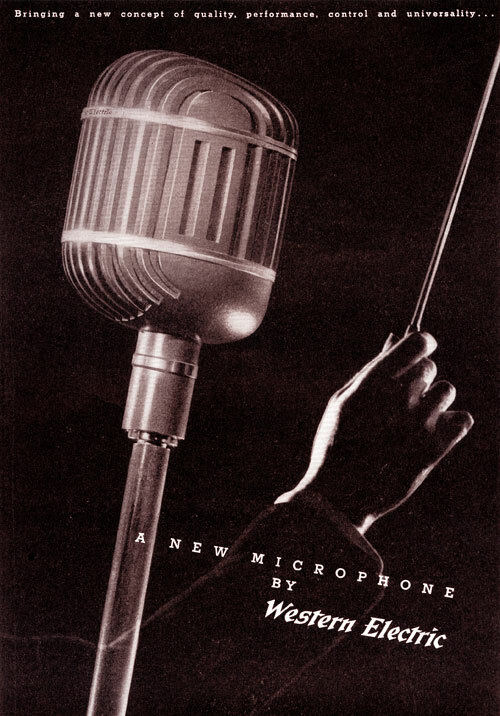 This is accomplished by utilizing one 639-type micro­phone as a non-directional (position D) micro­phone for general orchestra pickup and several 639-type micro­phones (positions R, C, 1, 2 or 3) as accent micro­phones for soloists and individual groups of the orchestra which the operator may want accentuated. 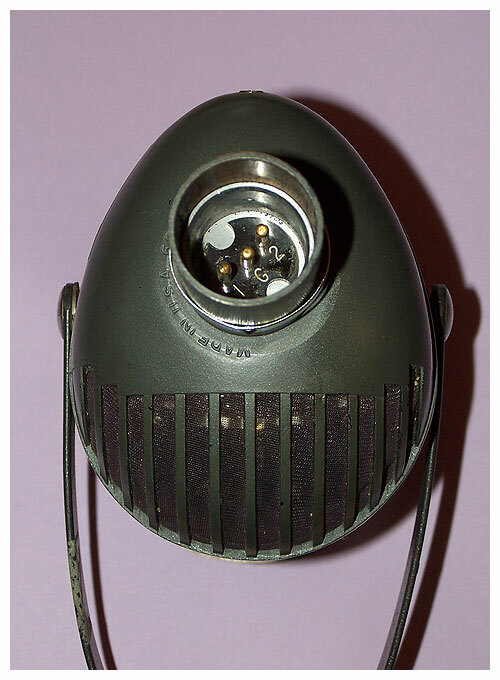 Designed by the Bell Telephone Laboratories and originally manu­factured by the Western Electric Company, the Altec 639A and 639B Multi-Pattern Cardioid micro­phones have, for years, enjoyed an unprecedented acceptance by all phases of the audio industry. 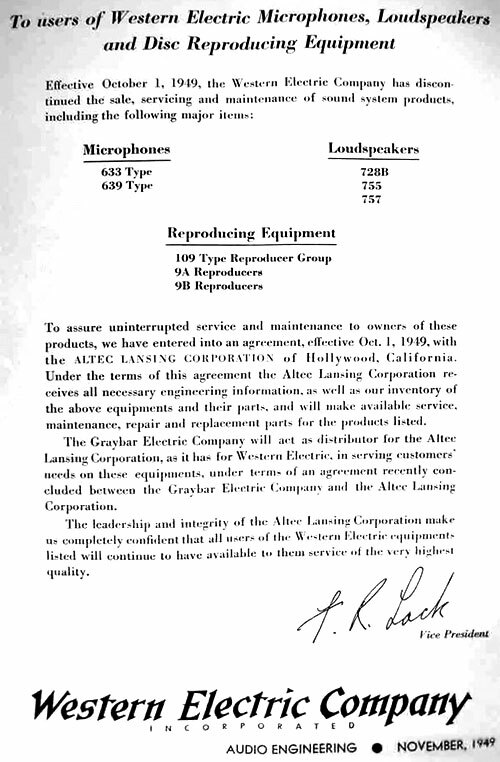 Indeed, it may be stated that the majority of all wide-range sound recording—from its initial appearance on motion picture sound­tracks to the present achievement of magnetic tape—has employed one or more Altec 639 micro­phones in virtually all phases of production. The immediate selection of pickup patterns provides the professional engineer with as many as six varying directional character­istics; the built-in two-stage windscreen, rugged protec­tive housing, and numerous attachment and mounting accessories make the Altec 639 ideal for any application. The factory-provided Type 442 connector. Someone has modified this mic to accept the Type XLR connector. 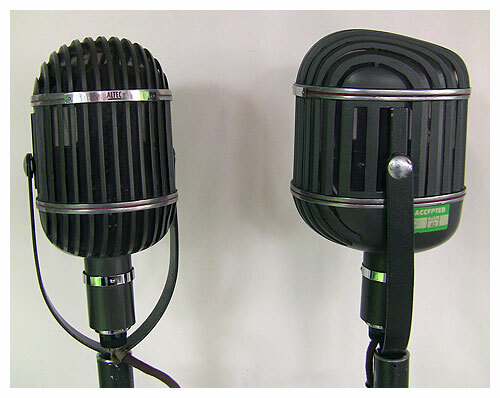 Both the 639A and 639B provide the broadcast, recording, and public address engineer with performance of professional stand­ards; the difference between the two models is found only in the amount of readily-selected pickup patterns. The 639A provides the three most widely used character­istics of cardioid, bi-directional, and omni-directional pickup; the 639B furnishes three additional directional character­istics, each having full frontal sensitivity, but with varying degrees of rear sensitivity. 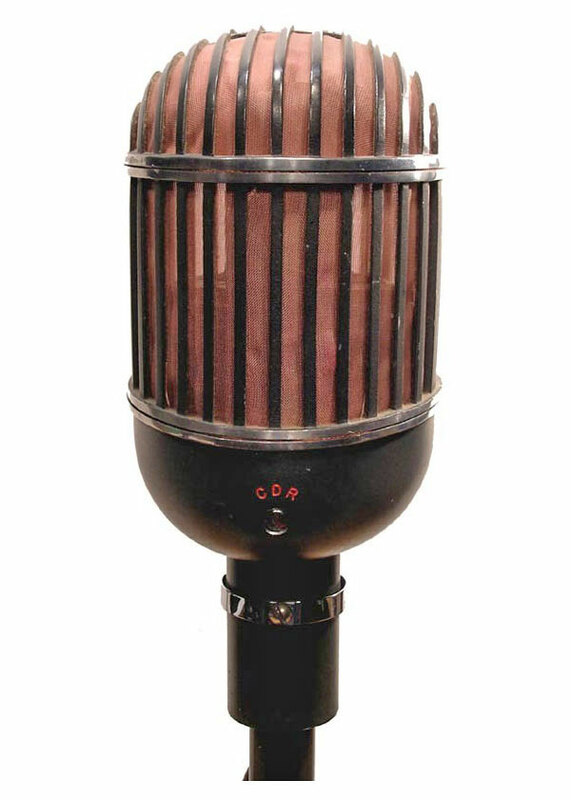 These additional front-to-back ratios make the Altec 639B on outstanding choice for appli­cations wherein two distinct sound sources, having equal intensi­ties, must be handled with utmost clarity and separation (e.g., on stage versus audience pickup; dominant speech versus a more quiet manner of speaking, on each side of the microphone). 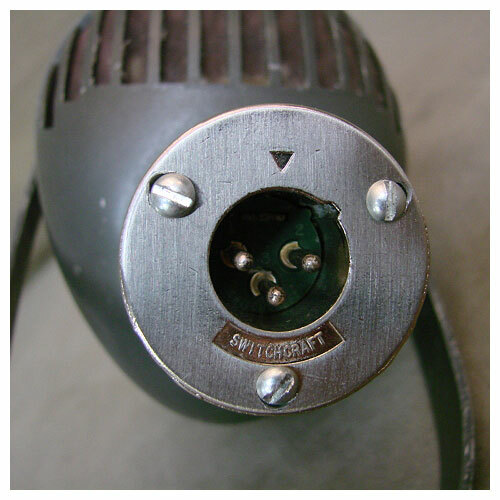 Each directional pattern of the 639A and 639B Microphones may be easily selected with a screwdriver or similar tool, in accordance with the indicator marks on the rear of the micro­phone housing. 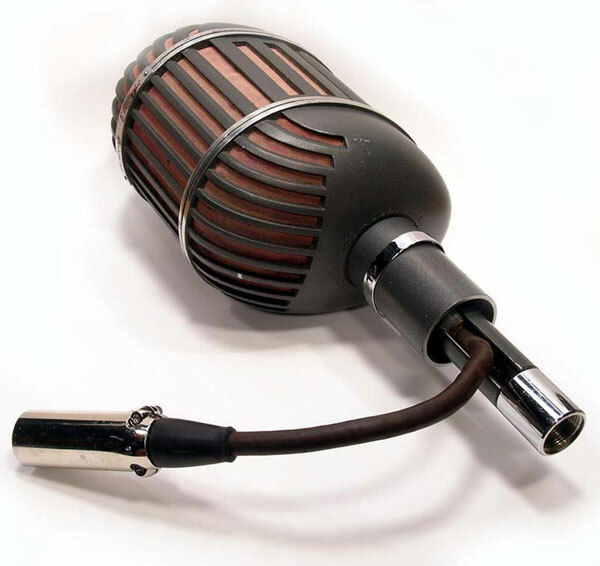 Low output impedance (30/50 ohms) permits the use of 639 microphones at a great distance from the associated amplifying equipment without danger of increased noise, hum pickup, or de­terioration in the quality of the transmitted signal. Each 639 mi­crophone is supplied with a zippered plastic bag which covers and protects the micro­phone when not in use. 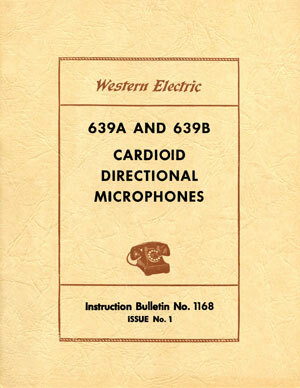 Cardioid Directional micro­phones Instruction Bulletin No. 1168, Issue 1. 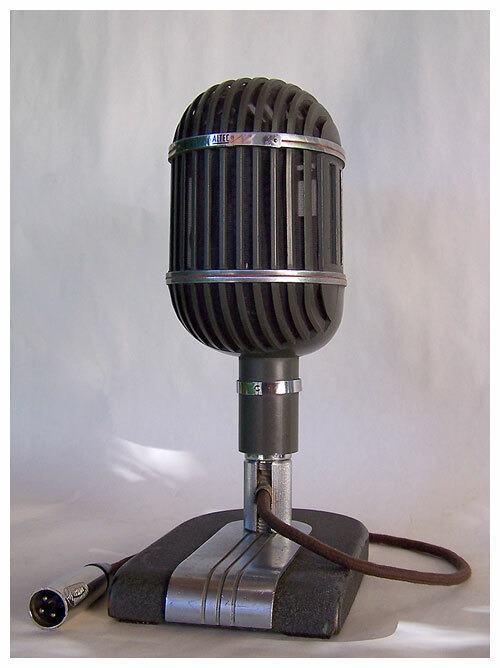 For those of us who use the old Western Electric mics, it can be a challenge finding a cable to fit. 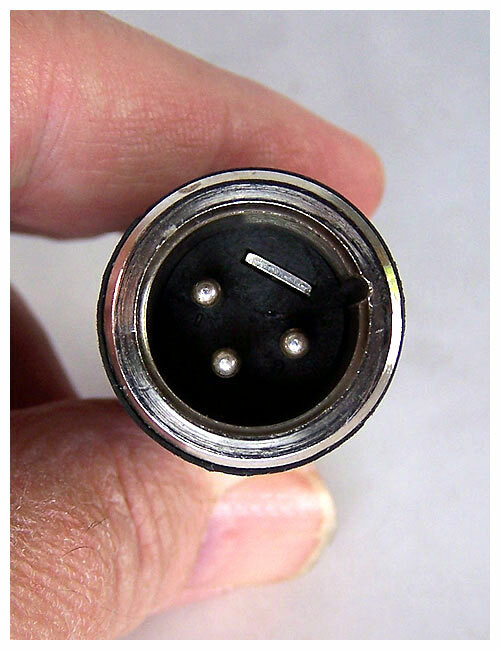 Below are three images of an adapter that converts these mics for use with an XLR-equipped cable. The same adapter works with STC mics as well as with Coles Electroacoustics mics. These adapters are not available at this web site. 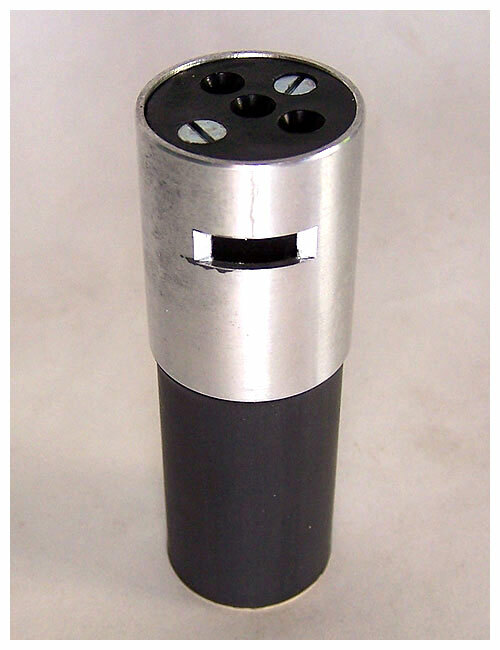 A few vendors offer this 4069 XLR adapter on the Web. These convert the old WE, Coles, and STC connector to XLR. Obviously a contemporary XLR-equipped cable can then be used. 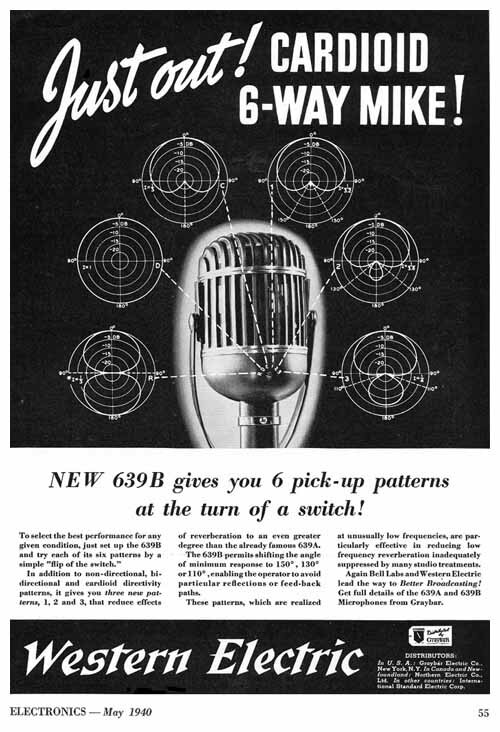 From the Western Historic Radio Museum: The 639A was intro­duced in 1938 and provided broad­casters with a micro­phone that could be set to various direc­tional patterns while maintaining high quality performance. Using a velocity ribbon micro­phone in com­bination with a dynamic pressure microphone, the 639A offered three select­able patterns. “R” pro­vided a “figure eight” pattern by utilizing just the velocity micro­phone. “D” selected just the pres­sure micro­phone for a non-direc­tional pattern. 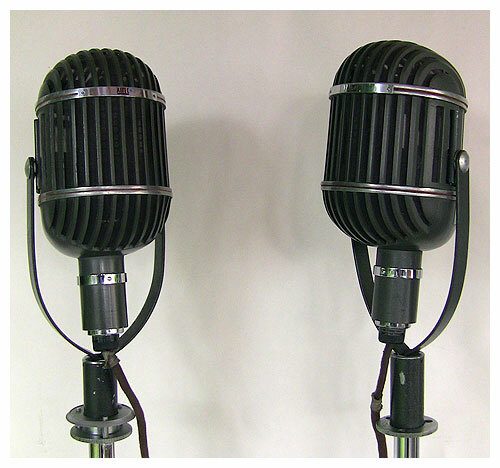 “C” provided a cardioid pattern by com­bining the two micro­phones in series. The selector switch is located on the back of the 639A housing. Fre­quency response in any setting was 40 Hz to 10 KHz. 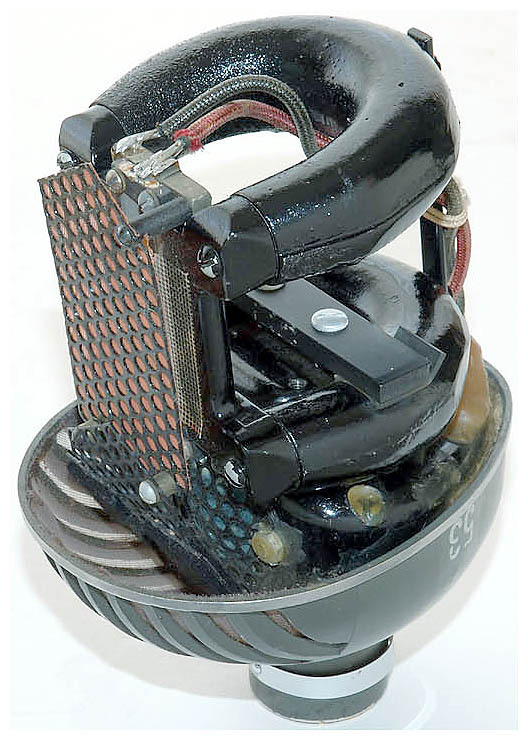 An internal trans­former provided amplifica­tion and impedance matching for the velocity ribbon section. 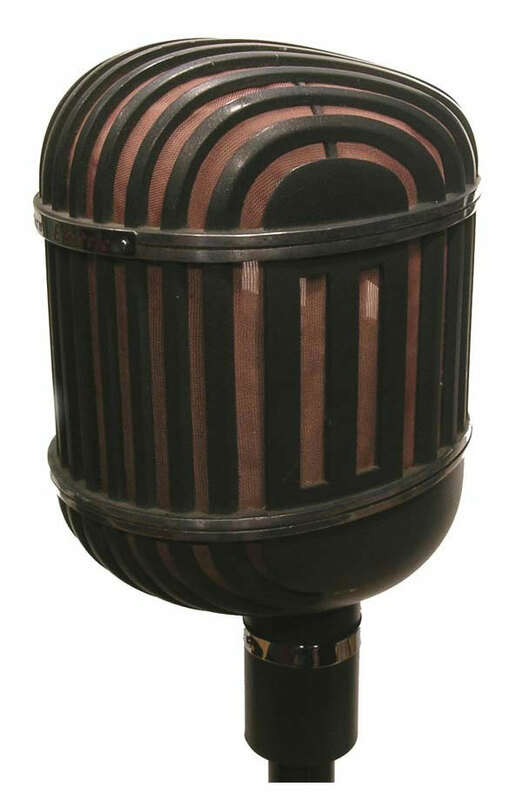 Western Electric also built a “B” version with six selectable pattern settings. 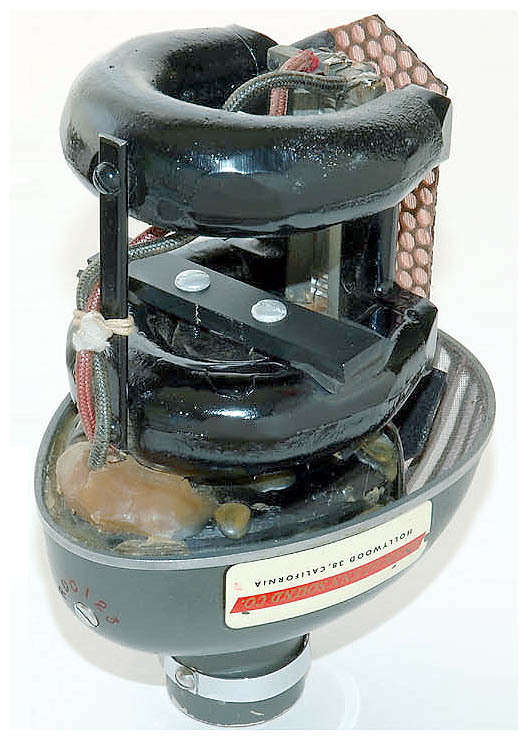 In 1949, Altec began pro­ducing the 639 series with the ALTEC name on its models. 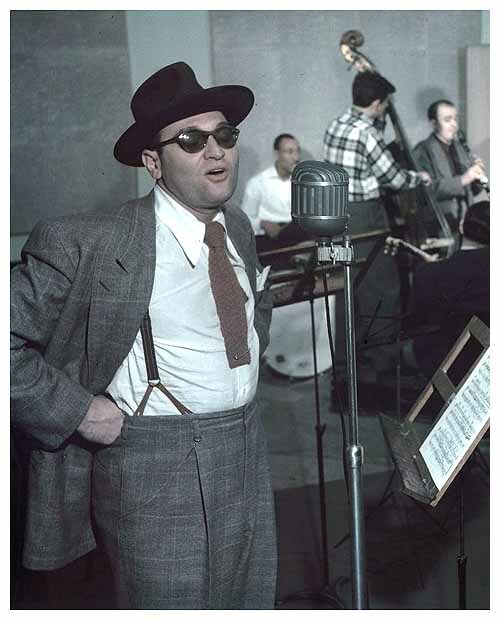 The 639A/B was nick­named the “Birdcage” micro­phone. 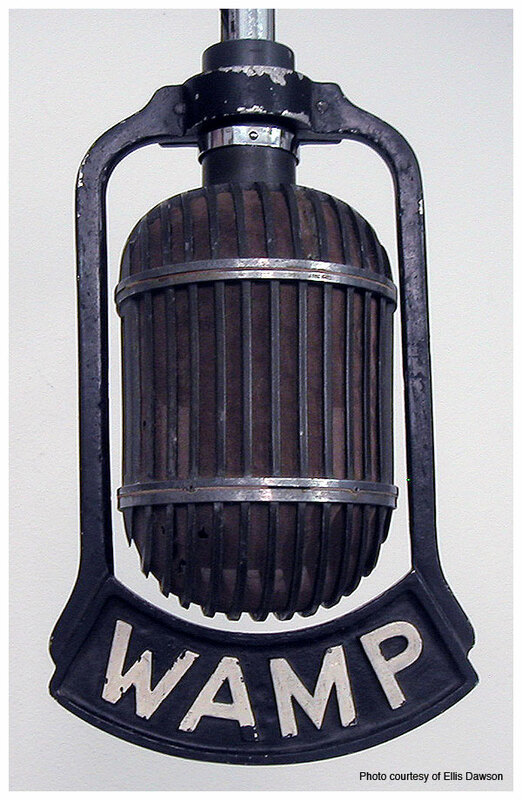 This par­ticular WE639A (seen below) was used at the San Francisco short­wave station KGEI (General Electric Inter­national), famous as a broad­cast relay station to the Pacific during World War II. Copyright © 2005 by Sean Brady. Not for other publication, distribution, nor resale. 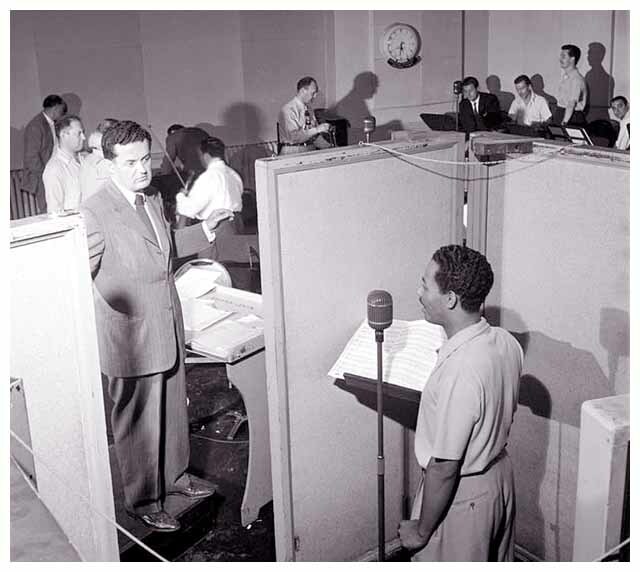 Hugo Winterhalter confers with Billy Eckstine during a recording session. 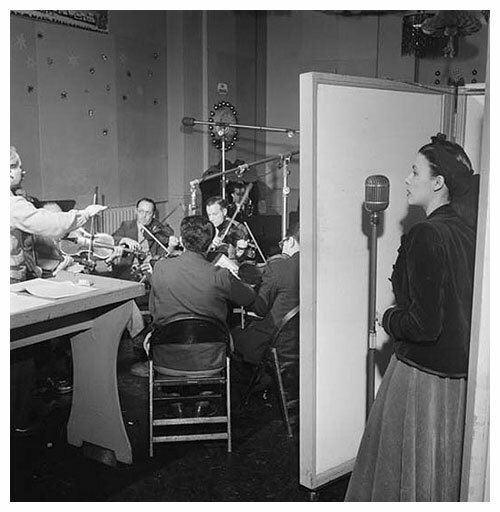 Lena Horne, in what appears to be the same studio. 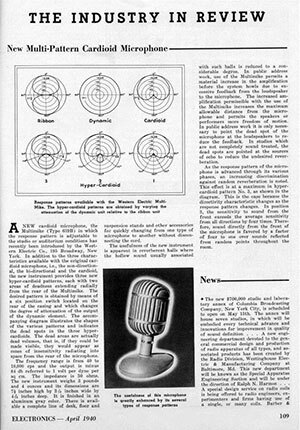 Mr. Robert Van Dyke thoughtfully provided us with this announcement from Page 10 of the November 1949 issue of Audio Engineering, in which we see the exact date of the change of responsibility for selected audio products from the Western Electric Company to the Altec Lansing Corporation. 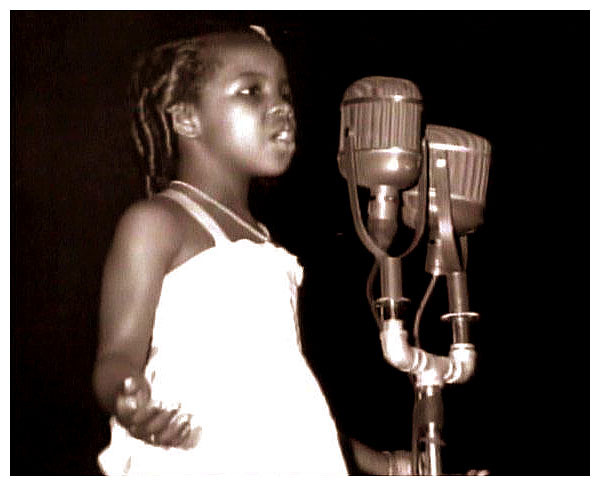 Gladys Knight in 1954 at the age of nine or ten, and already with The Pips. 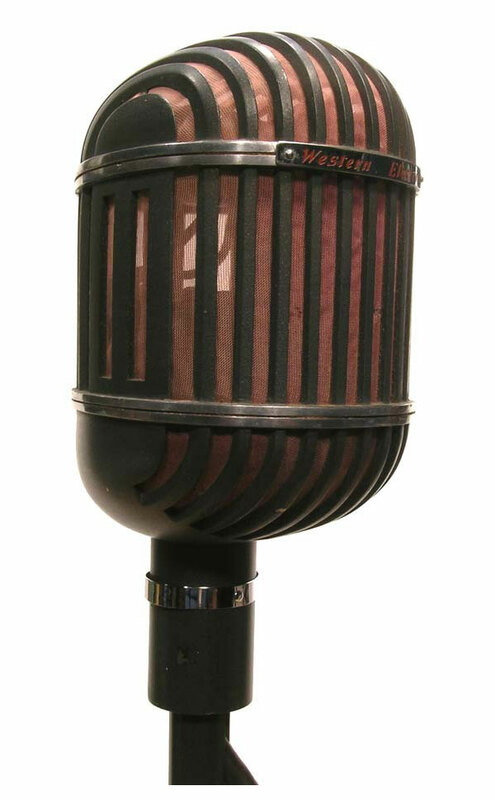 The Western Electric 639 is equipped with a five-eighths, 24 tpi thread, while contem­porary mic stands carry a five-eighths-inch, 27 tpi thread. 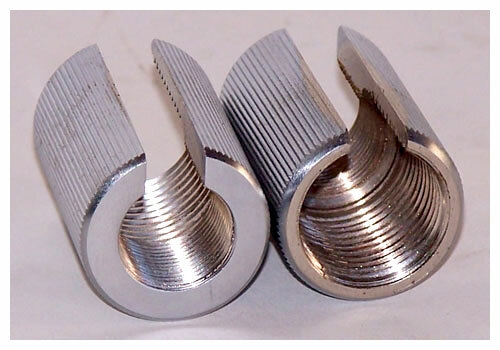 In order to preserve the original Western Electric thread, an adapter is required, such as the types seen below. A dual-thread adapter with its cable slot facing away from the camera. The slotted adapter provides a means to stand-mount the 639 without its yoke. The microphone’s cable emerges via the adapter’s slot. 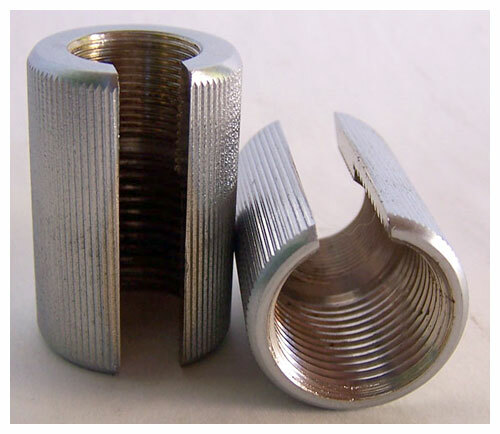 Another type of adapter is equipped with a five-eighths, 24 thread on one end, and a half-inch “pipe thread” on the opposite end. 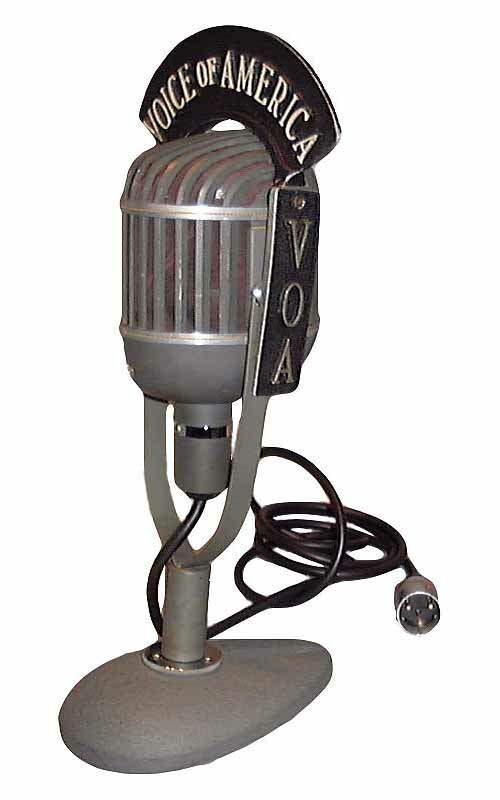 This makes it possible to mount a Western Electric 639 microphone onto an RCA Type 91 stand as seen here, or onto any other half-inch stand or boom. 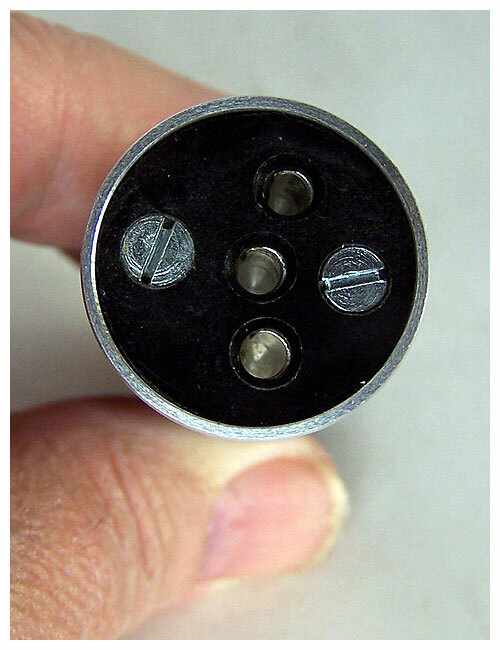 Additional images of this adapter can be seen below. 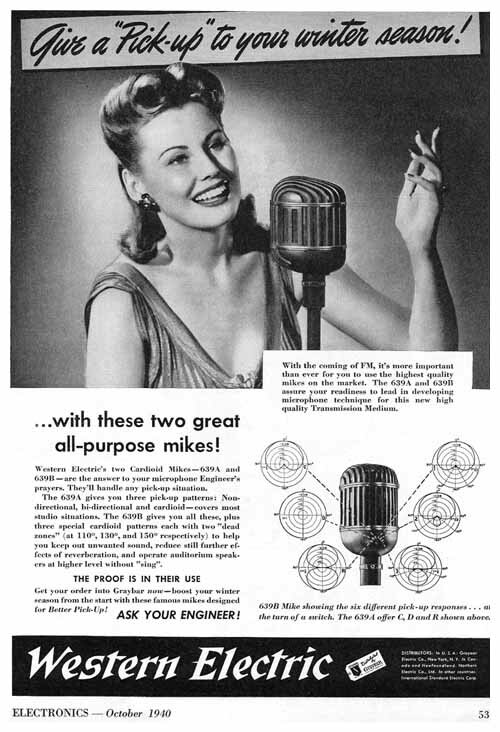 Unlike contemporary mic stands equipped with a five-eighths-inch, 27 tpi fixture, these adapters accommodate half-inch “pipe” mounts on one end, and a five-eighths-inch, 24 tpi thread on the opposite end, matching certain Western Electric microphone mounts. An alternate view of this adapter. 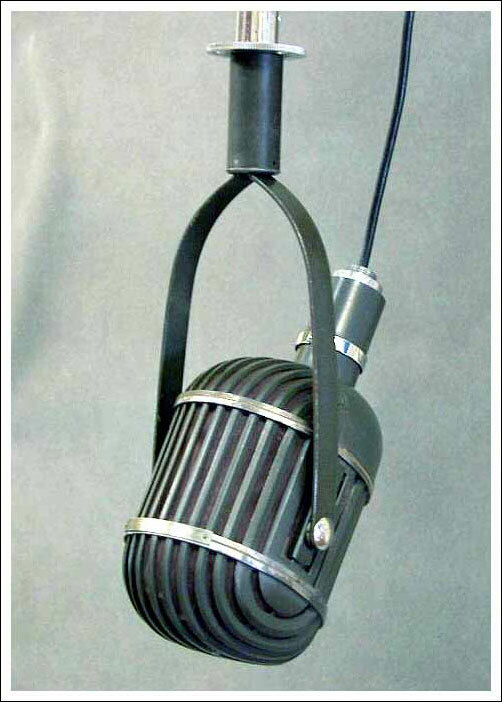 Our best guess is that Western Electric (or Altec-Lansing) manufactured these to accommodate broadcasters who already had half-inch “pipe thread” mounts in place for their RCA 44 and 77 mics, and who wanted to use the 639 mics in the same locations without modification. 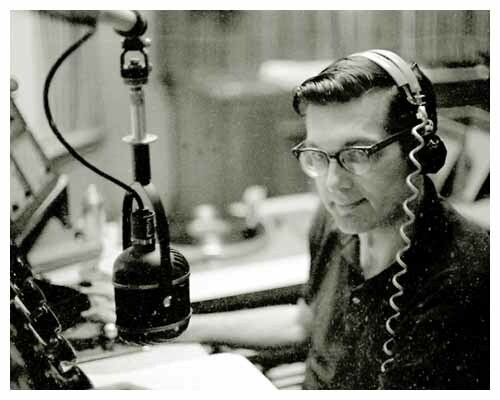 The following five photos are courtesy of Dennis Schrank. Download this magnificent users guide. Formatted to print at 8½ by 11 inches. 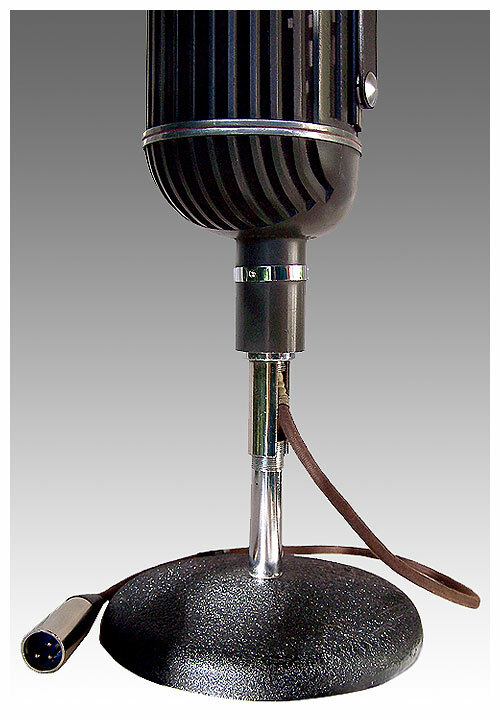 Download the patent for this mic. Download the Operating Instructions for this mic. Condition is fair. Includes jack wiring diagram. 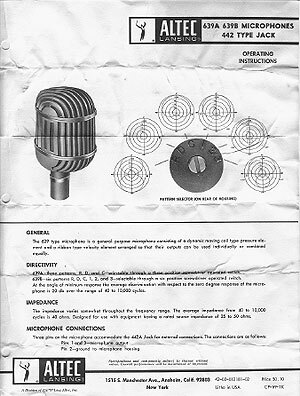 Download the specification sheet for this mic. 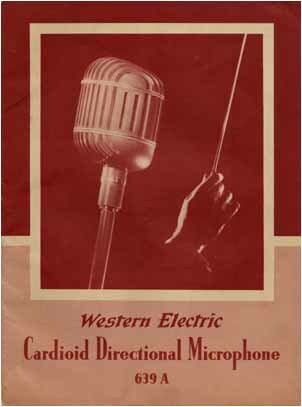 Download the Instruction Bulletin for this mic. 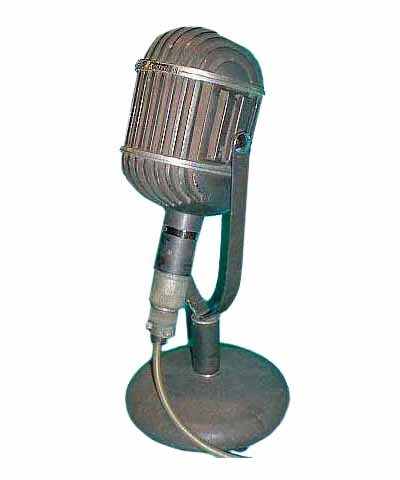 Download the 1940 Electronics review of this mic.